So I’ve taken a break from blogging recently because I’ve been in Bali with my boyfriend, Zak, and we had the best time. Most people perceive Bali to be a place you can only visit if you have weeks to spare or to go to on the way back from Australia but I hope this blog post changes that perception. The most amount of time I could take off work was two weeks, so I booked it off and off to Bali we went. We narrowed our list of places to visit down to three. This way we would see different sides to Bali with enough time to settle and chill out. The first place we visited was Seminyak, the home of the most amazing beach clubs and quirky café’s. BEACH CLUBS. 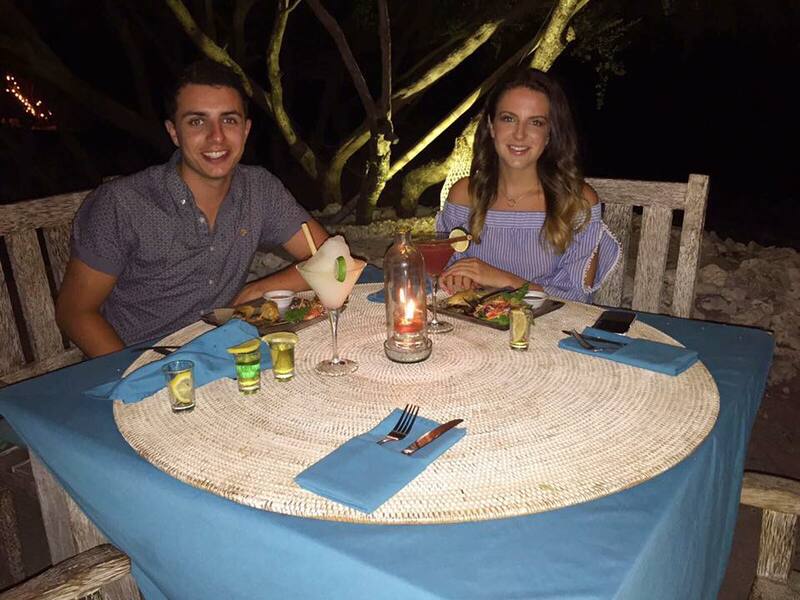 The first beach club we visited was Potato Head which was recommended to us by many of our friends. Unfortunately when we visited a stage had been left up from an event the weekend before, so we couldn’t take advantage of the view of the beach from the infinity pool. 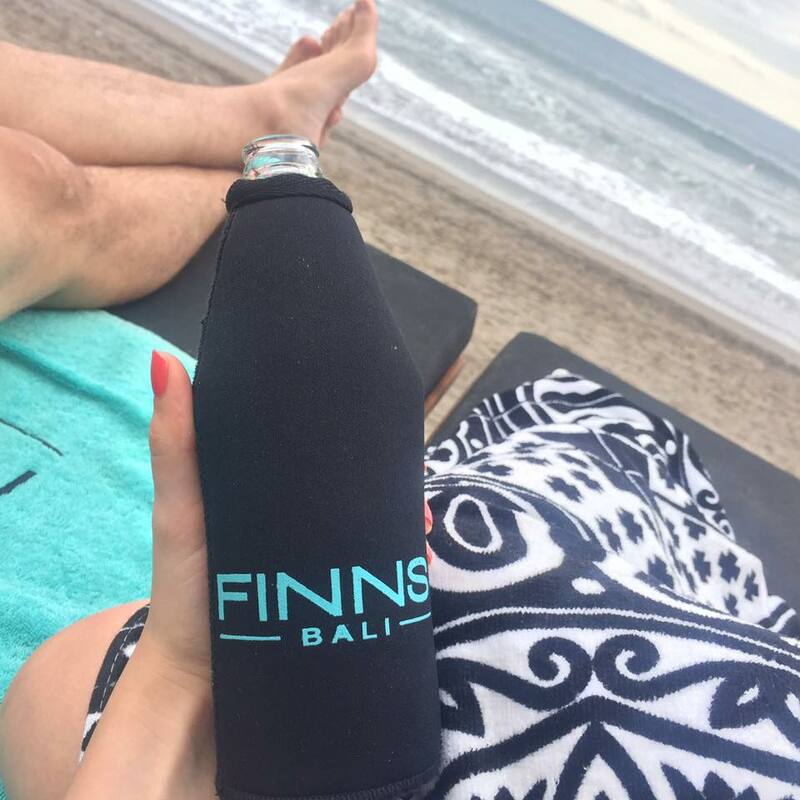 This, as well as the ridiculous prices dampened our experience here slightly but we still had a great time and would recommend it if you’re ever find yourself in Seminyak. 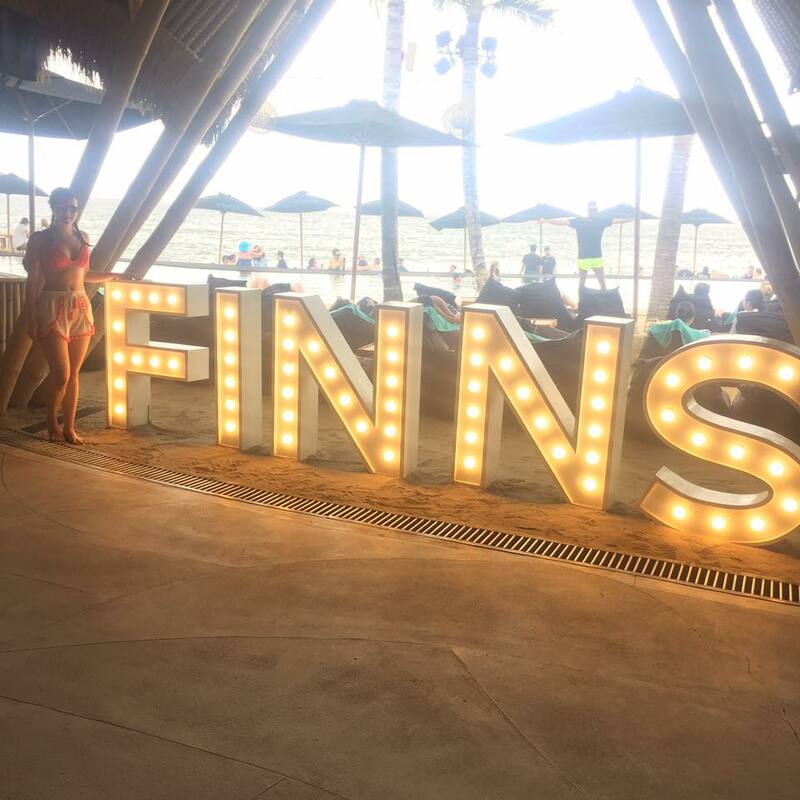 The following day we visited Finn’s Beach Club in Canggu which was so nice and on another level to Potato Head. It had luxury written all over it and it wasn’t too badly priced either. Canggu is the home of surfing, so we sat all day watching the many surfers do their thing. Sadly the clouds made an appearance for the vast majority of the day but this meant that the club was slightly quieter which was nice. We ended our time their with a lovely meal and cocktails watching the sunset with a great DJ playing above the infinity pool. TACO CASA. Oh my god this place is like heaven on earth. If you are a Mexican food lover like myself, you would love it. 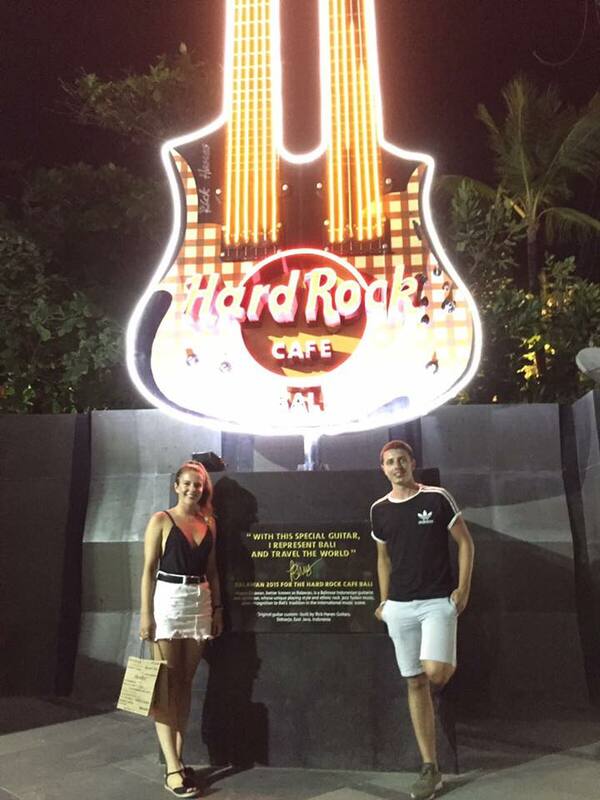 We learnt very quickly that everything, especially food, was so so cheap in Bali. At Taco Casa, all main courses are roughly £4 each and it tastes so good. We fell in love with the chicken enchiladas and quesadilla, served with the best guacamole I’ve ever tasted. My mouth is watering just thinking about it. This restaurant is just a few doors down from the hotel, so we went there two out of three nights spent in Seminyak. I’d love to buy a Taco Casa franchise and bring it to the UK! 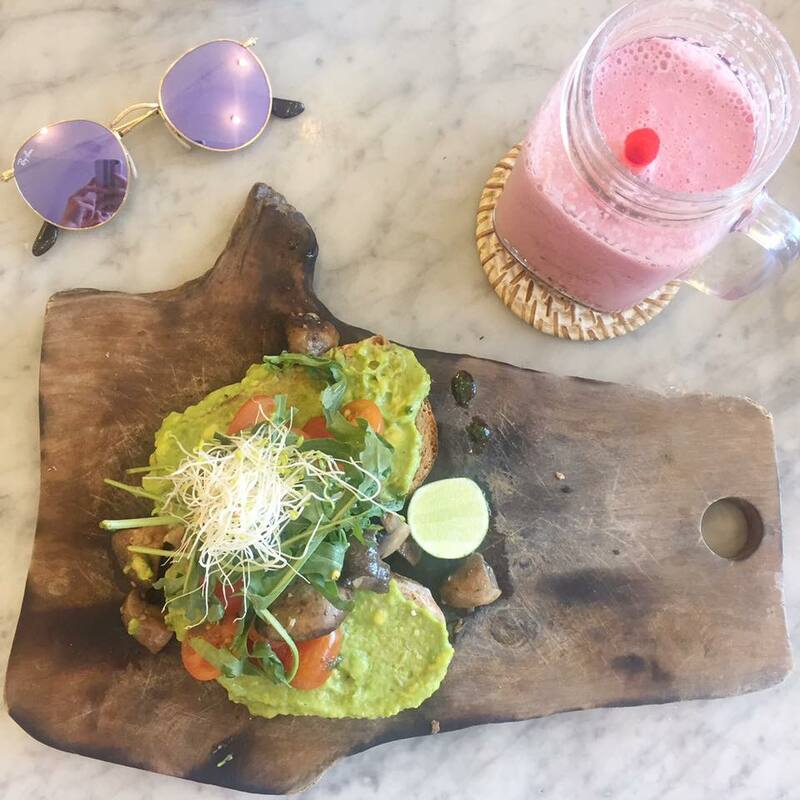 The brunch in Seminyak was to die for. We went to The Fat Turtle, Kynd, Honey Bees and my fave, Café Organic. This café is packed full of instagrammble opportunities. The food looked amazing and it tasted even better. After four nights in Seminyak, it was time to move on to Ubud, the greener, more cultural area of Bali and it was so so nice. TOP TIP – Getting here is so cheap and easy. We booked an Uber which costed us around £12 for 1hr 30min journey. We stayed at B Saya Villas and it was the most beautiful hotel. We were treated like royalty before we even stepped foot inside. Drinking our welcome drinks overlooking the infinity pool and rice fields really was a WOW moment. 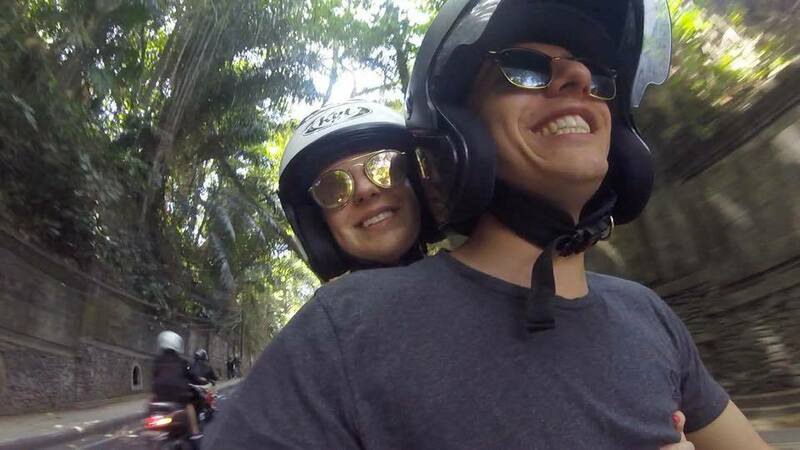 Another top tip for Ubud is to hire a moped. You might read this and think no way just like I did when Zak kept trying to persuade me but it really is the easiest and cheapest way to get around. The ratio of mopeds to cars is probably 80/20 so you certainly won’t be in the minority. It gave us so much independence as we could hop from place to place and not have to rely on taxi ranks or wifi to get us there. Plus, it only costed us £5 a day to rent the bike plus petrol, which I think costed us about £1.50! The following day we visited the Monkey Forrest which only takes about 1 hour to see everything but it is definitely worth doing. 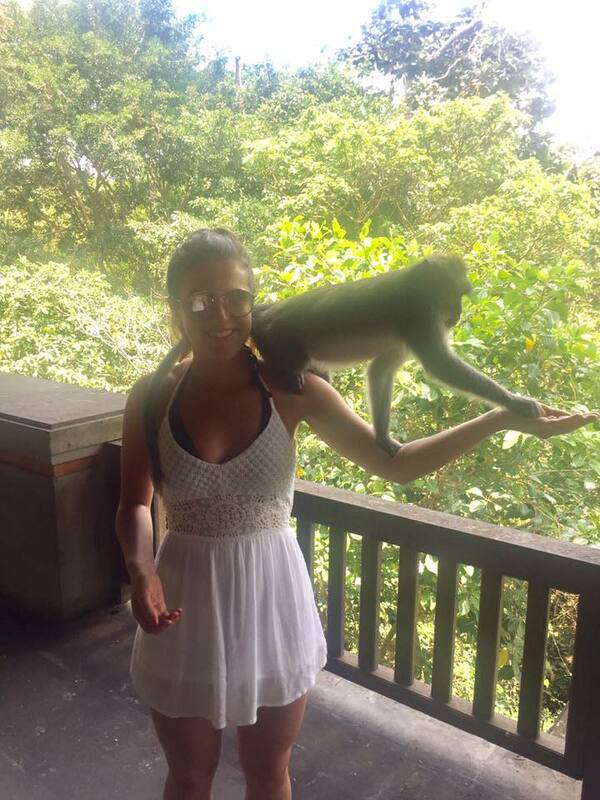 You can buy bananas inside the forrest and have the monkey’s climb on you to eat them. It was a bit scary but I’m so glad I did it. Be warned though, if they see any loose wrappers or anything hanging from your bag, they will pounce on you! 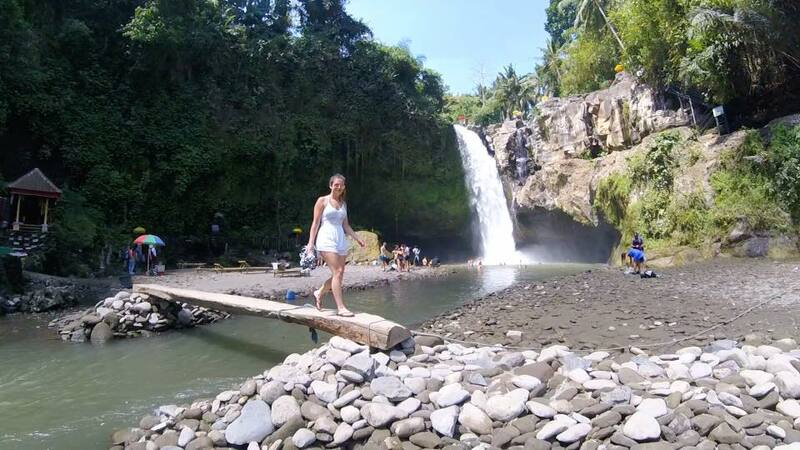 A short drive away you’ll find the beautiful Tegenungan Waterfall. We did this the same day as the Monkey Forrest as this also doesn’t take too long. I mean, a waterfall is a waterfall, once you’ve seen it and swam next to it there’s not an awful lot more you can do, but if you get chance to go, go. It’s pretty cool! Ubud is known for its swanky restaurants but unfortunately we didn’t have the budget for these. Though, if you do, I would recommend The Bridge. We drove past it a few times and it looked great. We opted for breakfast at the villa each morning as the reviews looked great on Trip Advisor. 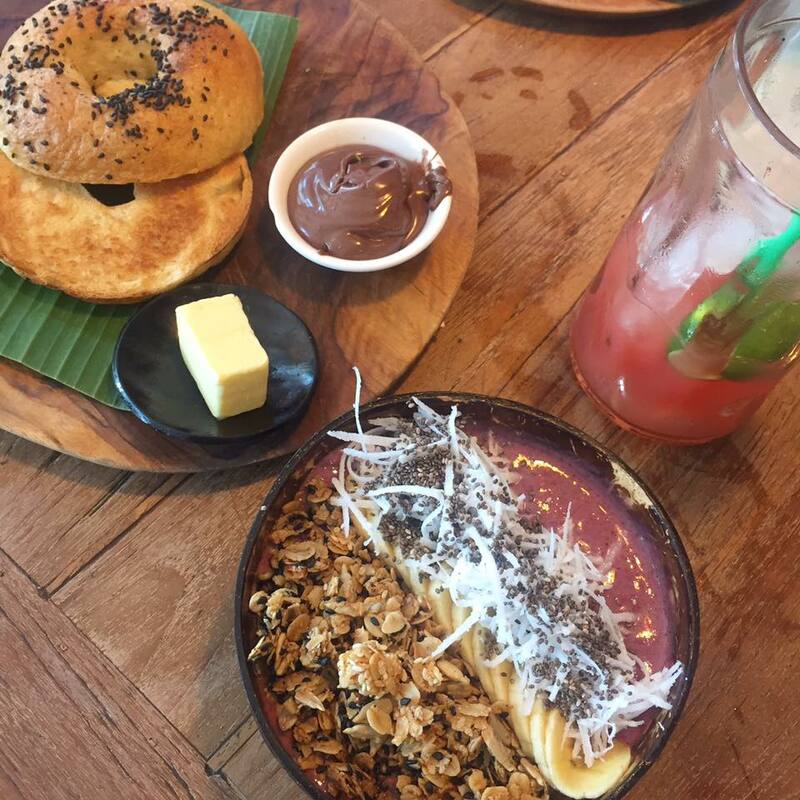 They definitely lived up to our expectations, with lemongrass tea, freshly squeezed orange juice, smoothie bowls and smashed avocado on toast every morning (I’m surprised I didn’t come home looking like an avocado!!). We had a couple of nice meals in central Ubud but nothing compared to the trusty Taco Casa aka heaven!! …and finally we hopped on the fast boat to Gili T, which was horrendous! I genuinely thought that Zak was dead for a second. It was so choppy and ridiculously hot but thankfully in 2 hours we made it and it was well worth the journey. 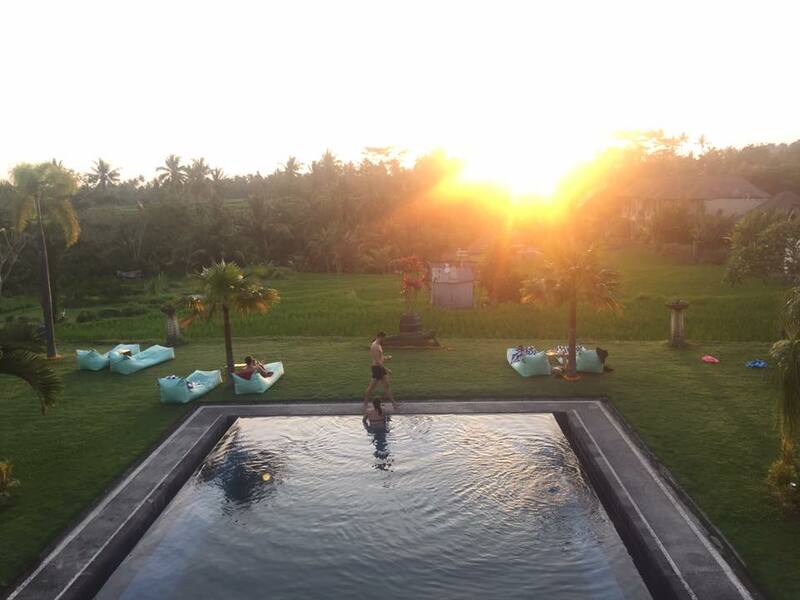 We treated ourselves to our own villa with a private pool, named Jasia Luxury Villas, for the last leg of the trip. Again, we booked this through Booking.com but it has recently been removed from their after a couple of bad reviews. It wasn’t perfect. There was the odd damp stain and spider web but nothing major, I would definitely recommend it. I did however have my eye on the hotel next door, named Le Pirate. It has white and blue beach huts that you think only exist on Instagram. Well people, they do exist! If we return, we will definitely book a beach hut there. In Gili T, there are no roads, cars or mopeds, just push bikes and horses. It’s genuinely like you’ve gone back in time. You can cycle all the way around it in just 1hr30mins. We didn’t actually do this in the end as it was just too hot, so we opted for the quicker route across the island. We stayed on the west side of the island but you’ll find life and soul of Gili T on the east side. The east side also has the best beaches and there isn’t actually that much do in Gili T apart from enjoy them. Sunbathing and snorkelling are the main daily activities and I certainly wasn’t complaining. 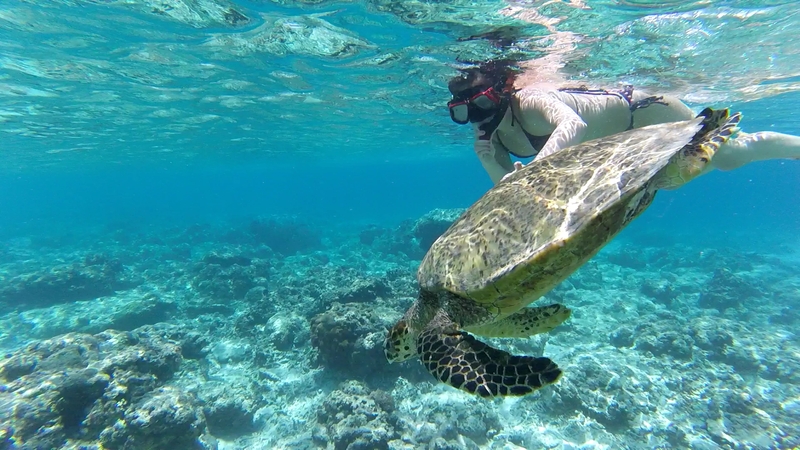 If you head to Turtle Point, you’ll see bundles of snorklers gathered around massive turtles. You can hold them, stroke them and swim alongside them, it feels like your in Finding Nemo! 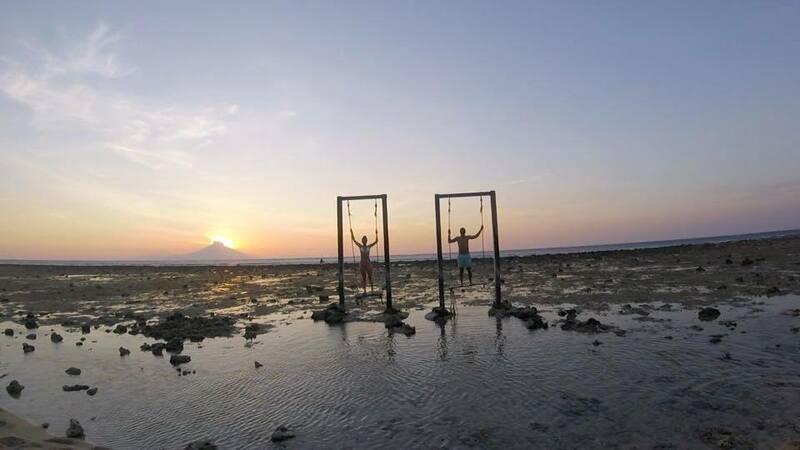 If you love snorkelling and want a trip away from Gili T for the day, there are so many day trips to Gili Meno and Gili Air that are apparently worth doing. We just loved Gili T too much to leave! Heading to the west side of the island at around 5.30pm for sunset is a must. Fortunately our hotel’s private beach looked out over the Gili swings, so we ended every single day on the beach with a Bintang Radler watching the sun go down behind Mount Agung. Trust me, you’ll never see another sunset like it! One of my favourite things that we did was going to the beach cinema at Le Pirate. Each night, they would show a different film that you can watch for free on beanbags surrounded by candles, whilst being served popcorn and cocktails. Hearing the sound of waves in the background of a film definitely isn’t something you’d get at the Odeon! It was fab. On an evening, we tried to stay on the west side of the island (which is quite limited for choice) to save cycling all the way back on a full stomach, but we found a really nice restaurant called Wilson’s. It was like something you’d see on Pinterest, candlelit tables on the beach surrounded by cute lanterns. The food was so good and the cocktails were even better. We ended up going here three times, I think they were getting slightly sick of us! We ended our trip with a quick trip to Kuta before heading to the airport. I wouldn’t recommend spending too much time here if you want to see the real Bali. It’s highly commercialised but it’s definitely worth going for a night, even if it is just to get a Hard Rock T-Shirt!! Sorry for the extremely long post but there was just too much to tell you! If you’re already thinking about where to head to on holiday next year, I honestly couldn’t recommend Bali enough. Remember, this trip only costed us £650 each for flights and 2 weeks worth of accommodation (that’s cheaper than a week’s bed and breakfast in Mykonos!) Find out how we got it so cheap in my How to Book Bali on a Budget blog post. 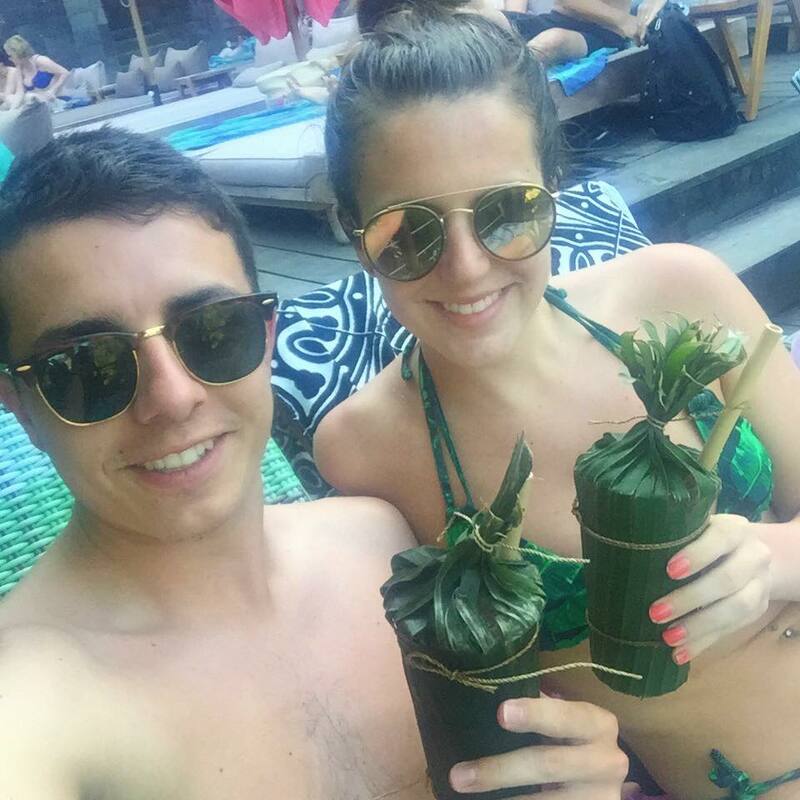 My boyfriend and I are looking at going to Bali next year… your post has been an absolute inspiration – thank you! 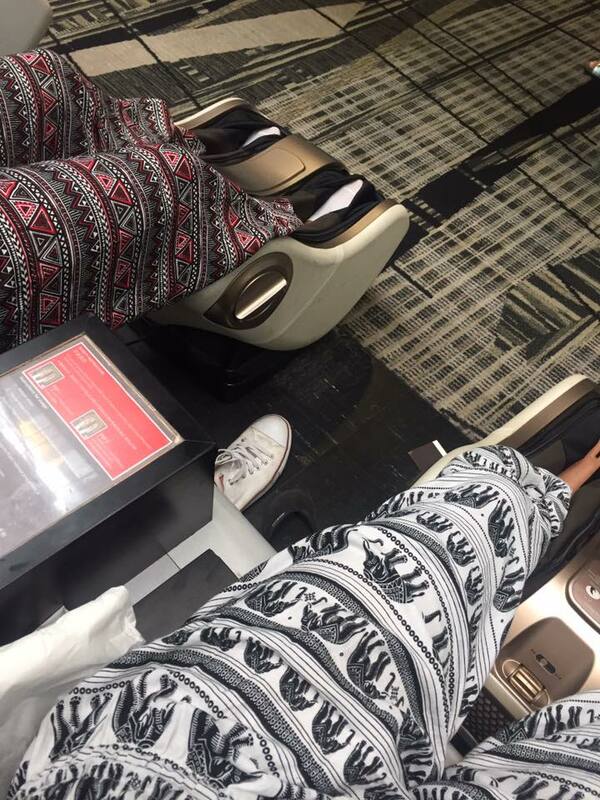 SophSays is a beauty, fashion, fitness and travel blog written by me, Sophie Helsby. To find out a little more, see my 'About' page. Mustard is definitely the colour of the season 💛 I'm still unsure as to whether the colour suits me, so I picked up this knit for £13 from @primark so that it wouldn't be too much of a loss if it doesn't 🍂 Who else has added mustard to their wardrobe this autumn?